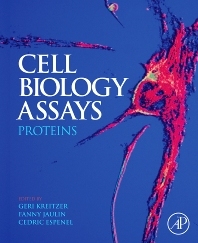 Protein assay methods are used for protein identification with blood groups, cell surface markers, drugs and toxins. This text features comprehensive protocols essential for researchers studying various areas of biological and medical sciences. The techniques in this text are presented in a friendly step-by-step fashion, providing useful tips and potential pitfalls while enabling researchers at all stages to embark on basic problems using a vareity of technologies and model systems. Gel-Based Proteomics: High-Resolution Two-Dimensional Gel Electrophoresis of Proteins. Isoelectric Focusing and Nonequalibrium pH Gradient Electrophoresis. A native of Chile, Dr. Julio E. Celis received his bachelor’s degree from the University of Chile in 1964, and then completed his Ph.D. in the United States at the University of Iowa. After his postdoctoral training at the Medical Research Council Laboratory of Molecular Biology in Cambridge, England, he went on to become an assistant professor at the University of Chile. Dr. Celis was named an associate professor in 1975 at Aarhus University, Denmark, and in 1987 became Chairman of the University’s Institute of Medical Biochemistry. He is also the Chairman of the Danish Centre for Human Genome Research and was recently elected Secretary General-elect of the Federation of European Biochemical Societies (FEBS) 1997. With nearly 180 publications to his credit, Dr. Celis’ specialized areas of research include molecular mechanisms of cancer, human 2D gel protein databases and their link to genome data, signal transduction, and the biology of human skin. Married, with three children and one cat (Max William), Dr. Celis currently resides in Denmark where he holds among his many titles the chair to the Symposium and Prize Committee of the Danish Cancer Society, as well as the acting Chairman of the Nordic Molecular Biology Association (NOMBA). Dr. Celis is currently the Vice President of the European Molecular Biology Laboratory (EMBL) Council and leader of the Danish Delegation to the OECD Megascience Forum subgroup on Bioinformatics. He is also the European Union Observer to the International Nucleotide sequence database collaboration and a member of the EMBO Course Committee.